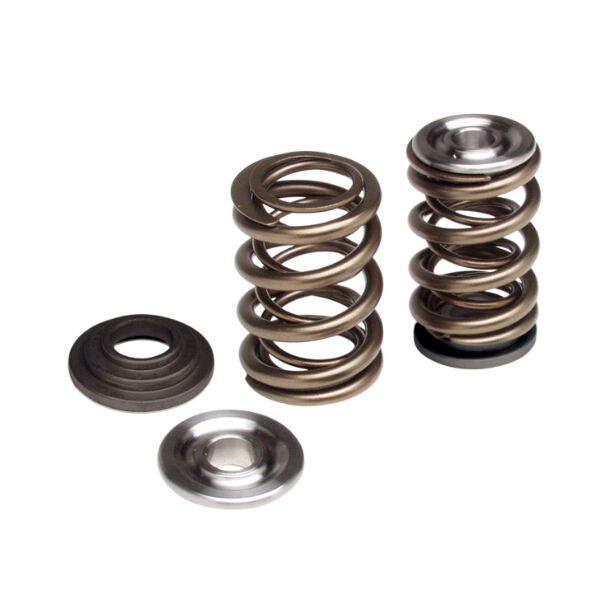 Titanium has a high specific strength, a comparatively low modulus of elasticity, therefore is an ideal kind of spring material. β titanium alloy, due to its excellent overall performance (favorable cold formability, obvious aging strengthening effect, good corrosion resistance, etc. ), is an ideal choice for high-strength Titanium Springs. Besides its small size and light weight,the advantages of a Titanium Springs are its properties of being corrosion-resistant and anti-fatigue, etc. Titanium Springs has been widely used in chemical engineering, oceaneering, automotive suspension, engine valves, vibration reduction, safety valves, clutches and other parts. Titanium is used widely to produces springs for its effect to reduce costs and improve the performance of the alloy. Another advantage is the good corrosion resistance of Titanium Springs. In standard salt-spray corrosion fatigue tests, a common steel spring’s fatigue life decreases by 50% than that in the air. In the same test, a titanium spring’s fatigue life only drops 4% lower compared to that in the air. Furthermore, different from steel springs, titanium springs don’t need protective coating. TNTI provides a wide range of Titanium Springs: two-way shape memory alloy springs, extension titanium springs, titanium pressure springs, torsion titanium springs, titanium compression springs. All can be customized in accordance with customers’ requirements. The methods of manufacturing titanium springs can be divided generally into cold rolling method and hot rolling method. Titanium springs’ main material is titanium alloy wire. Titanium wire with a diameter of less than 8mm is generally processed by cold rolling method and hot rolling method is used if it is more than 8 mm. The heat treatment of titanium springs can be annealed and acid pickled according to customers’ requirements. For more information on titanium springs, please contact us.